I read Letter to the Lost and LOVED it. I loved the way it approached parent/child relationships. 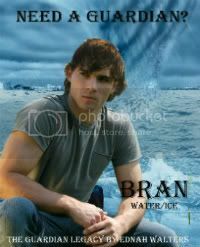 This book does much the same but with different characters. Rev is Declan's best friend so we got to know him a little in Letters to the Lost. 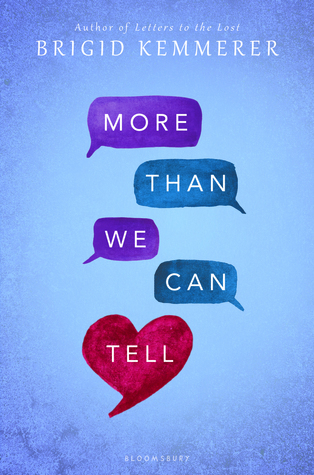 More Than We Can Tell is his story along with Emma's. Both characters are dealing with some really heavy issues in their lives. At first they confide in just each other. But they soon discover that their actions don't just affect them. I enjoyed learning more about Rev's background and watching him face down his demons. It was so touching as Rev figured out how truly loved and supported he was. It hit me hard in the "feels". Emma is still figuring out who her "people" are. I think she definitely put her faith in the wrong ones and it took her a while to see who was really there for her. Both characters were pragmatic and complex. I felt that Emma's story was left a little open ended, but nothing that really bothered me. I kind of wanted to find out what would finally happen with her and her mom. The best part was not only getting to see Rev close a huge and painful chapter in his life, but getting to Declan doing the same. While you don't have to read Letters to the Lost to enjoy this book, I highly recommend reading them both. I hope if this series continues we get to see how Matthew turns out. Recommended for 15 and up. Mild to moderate language and violent issues. I received this book from NetGalley in return for my honest review. Hello my friends and followers! I'm sorry it's been a few months since I've posted. I have no other excuse other than life just got me all kinds of busy. That doesn't mean I haven't been busy reading. I have sooooo many reviews to post. I hope that'll you'll be patient with me while I get back into the swing of blogging. If you're still getting my emails and blog posts thank you so much for sticking with me! My goal as always will be to give you honest reviews for books that I've read. If I can help you find your next favorite read or help you avoid one you will regret reading then I'll have done what I set out to do over 5 years ago. I've been thinking of updating the look of my blog. It's had because I am a little attached to the design. However, I know change can be a good thing. So, that being said, if you'd like to see me change the look or design I'd love you to comment on this post and let me know. Give me some suggestions and if you know someone who does blog design send me their way. I'm to all suggestions and ideas! Thanks again for your love and patience! Hope to hear from you.